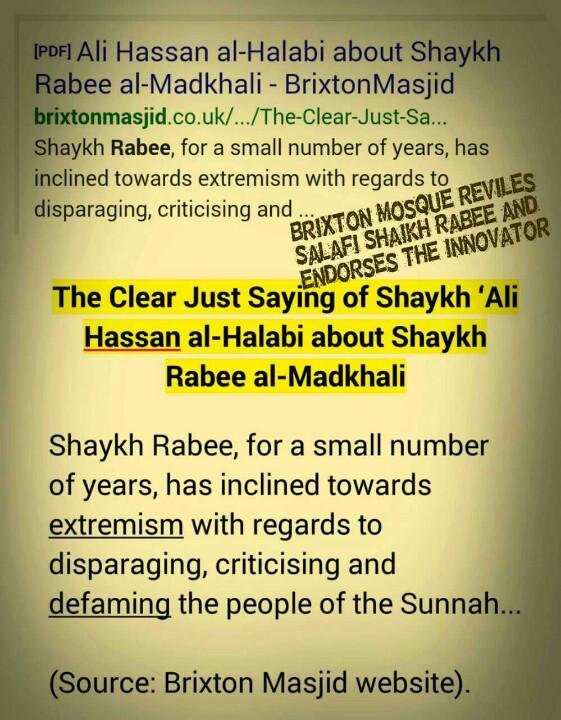 Shaikh Rabī’ Al-Madkhalī said: “It appears that ʿAbdul-Haqq [Baker] and those with him are upon the methodology of Abū al-Hasan and his false principles. 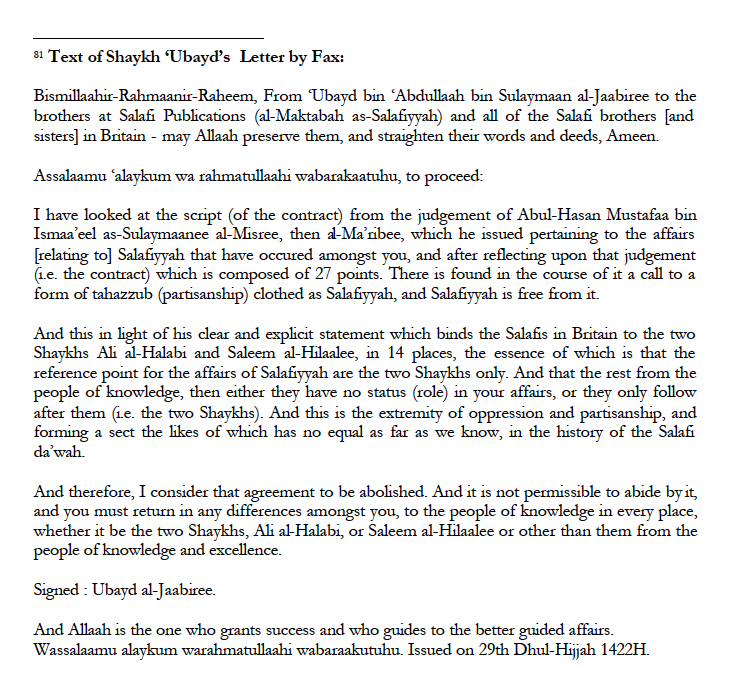 So we ask: Who were those scholars that advised ʿAbdul-Haqq and those with him to be lenient with the opposers? Who were those advising scholars? Were they Abū al-Hasan and ʿAlī Hasan and their likes, or were they the masters of Abū al-Hasan: the Ikhwān al-Muslimūn? And that which is apparent is that after this [so-called] rectification, Abdul-Ḥaqq and those with him haven’t increased in anything except tribulation upon tribulation. How could they not, since the assuring signs of splitting amongst them never cease to stop? They haven’t ceased blowing into the bellows of tribulations up until this day of ours. 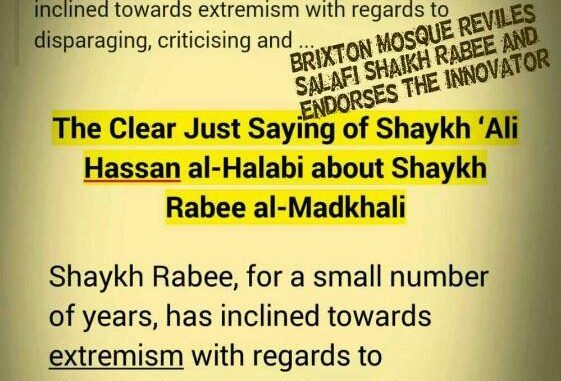 The more this party drowns in tribulation and filthy principles, the more their followers increase in being distanced from the Salafī methodology and its people, and they increase in separation and enmity towards the people of truth.” (Source: Darus-Sunnah, Shepherds Bush) And the affair is, by Allah, as Shaikh Rabī Ibn Hādī (hafidhahullah), has stated regarding the followers of these two innovators: “they increase in separation and enmity towards the people of truth.” All the Salafi Mosques across the UK have born witness to the enmity Brixton Mosque and its allies bear towards the people of Sunnah and Salafiyyah. 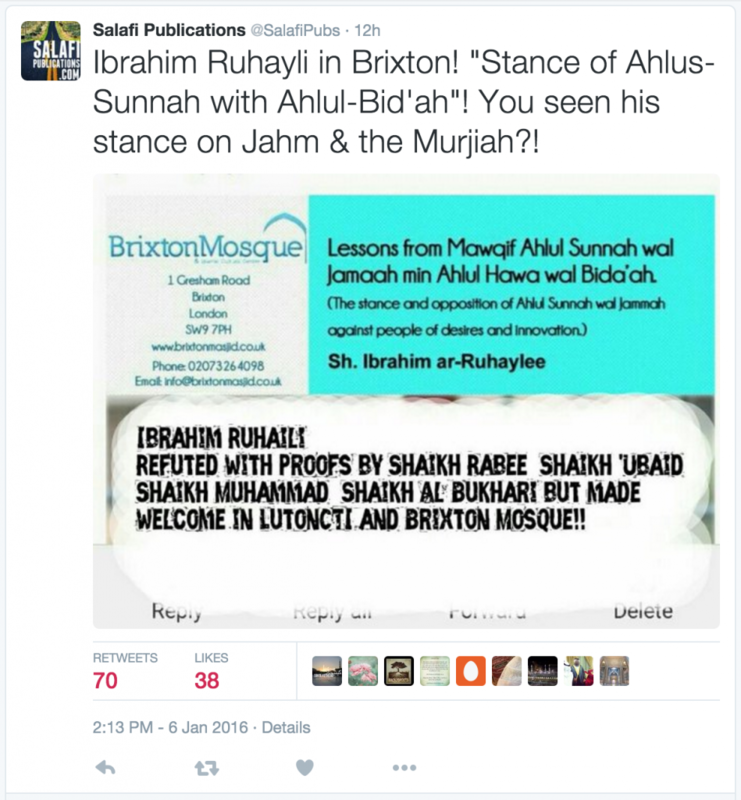 This screenshot highlights clearly the reality of Brixton Masjid (Abdul-Haqq Baker, Umar Jamaikī, etc) and their hizbiyyah to this innovating Mumayyi’ who has been refuted by Shaikh Al-Fawzān, Shaikh Rabī Al-Madkhalī, Shaikh Ahmad An-Najmī, Shaikh Ubaid, Shaikh Muhammad Hadi, Shaikh Abdullah Bukhari, and many other scholars.